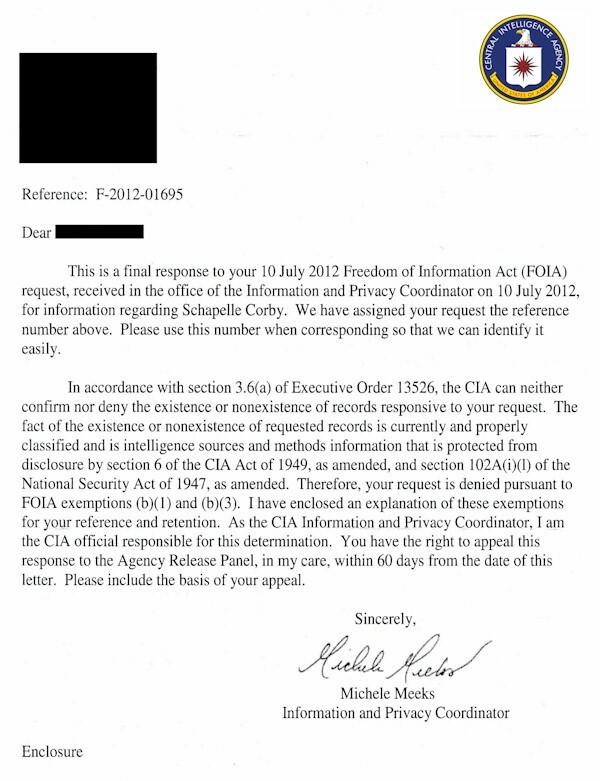 On 9th July 2012, a researcher acting on behalf of The Expendable Project submitted a Freedom of Information Request to the US Department of State. 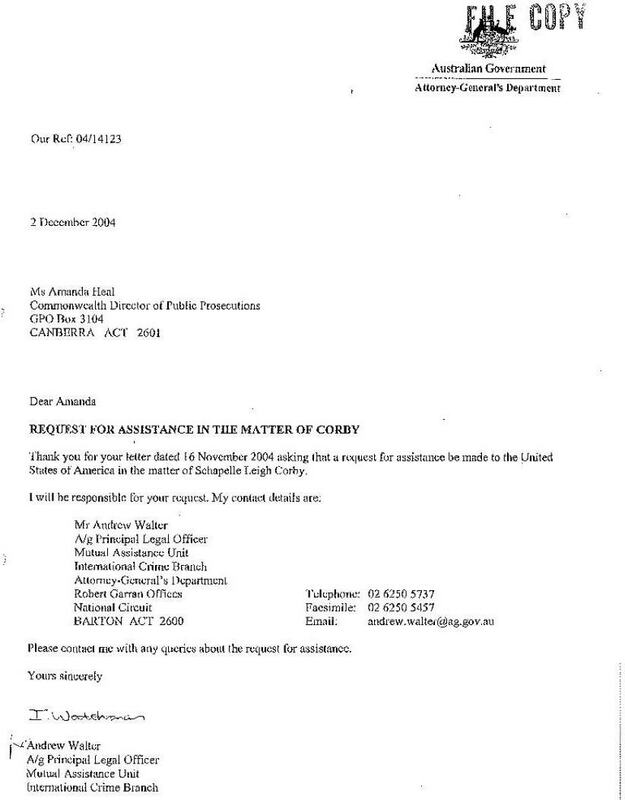 This sought information relating to Schapelle Corby, and specifically, whether the Australian government had invoked treaty provision via a mutual assistance request. A formal response was provided, by the CIA, on 2nd August 2012. 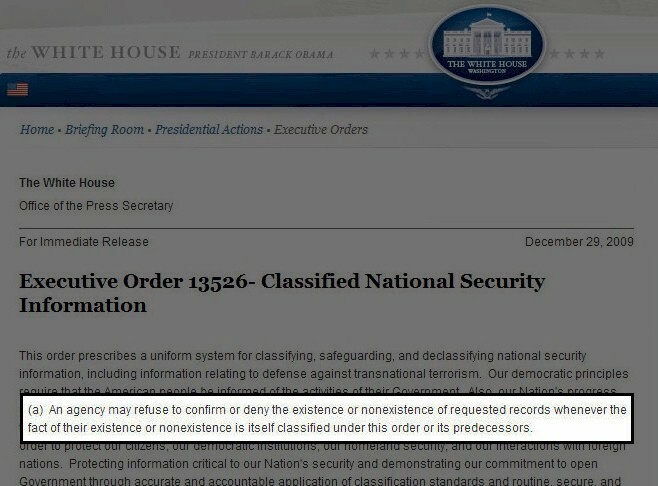 This stated categorically that whether or not such a request was made was classified information. In other words, the issue was so sensitive that the existence or non-existence of such a request document was, even in itself, a secret. The Australian government, however, has not been so circumspect. A number of documents have been obtained which provide an insight into the formal request itself, which was indeed presented to the United States. The source of this request is important. The CDPP is a domestic facing department. The request must therefore have stemmed from domestic issues, rather than from foreign policy concerns (which would have been sourced from DFAT). In terms of the Schapelle Corby case, this limits the issue significantly: by and large, to the events surrounding the corruption and criminality at Sydney and Brisbane airports. The picture painted by the previous revelations of The Expendable Project, with respect to Schapelle Corby, is already very clear. An acquitted or exonerated Schapelle Corby would have created a number of extremely difficult issues for the Australian establishment.. It would have caused significant problems for the newly and contentiously privatized Sydney Airport Corporation Limited, which failed to provide her with CCTV footage or baggage scanning records. 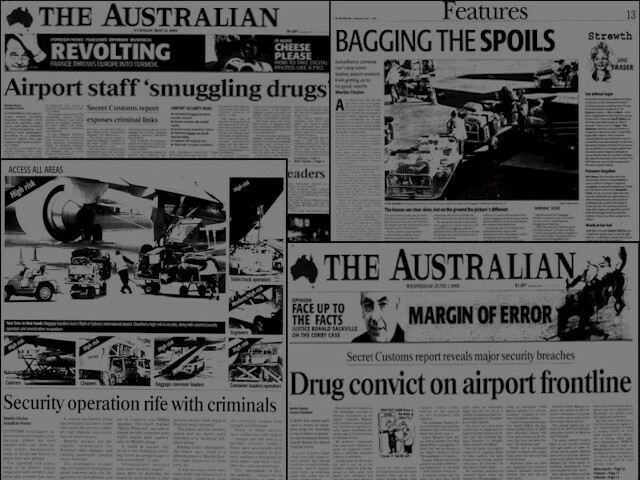 It would have created substantial fall-out for the AFP, whose officers were involved in drug syndication. It would have damaged the reputation of the national carrier, Qantas, whose baggage handlers were engaged in systemic drug trafficking. It would have created a diplomatic minefield for the government itself, with respect to its strategic relationship with Indonesia. It would have created intense pressure upon individual ministers with respect to all these matters, including the Prime Minister, John Howard. But why the involvement of the United States of America? Timing, as is often the case in politics, was everything. This was just three years post 9/11, and the United States was heavily engaged in pressing the aviation security revolution across the world. Yet, Australian airports were an absolute shambles, with criminal gangs running amok (ref: Allan Kessing, Kim Beazley, and others). Even the heavily constrained Australian media was beginning to scratch the surface. At the same time, Australia's relationship with Indonesia was extremely fragile. Only two years post the Bali bombings, and in the early years of Indonesian democratisation, the significance of this relationship on the world stage could hardly be overstated. The emerging judicial system was particularly sensitive, and Indonesian resentment at years of perceived Australian interference in internal affairs was acute. Indeed, a high profile demonstration by Australia of laissez-faire could only have been politically beneficial to the relationship at the time. Despite its internal brief, the CDPP would have been well aware of these wider considerations. It would have known that disclosure of the whole truth would have global implications for the nation itself. It had little choice, therefore, but to seek assistance and input. The outcome of the collective pressure of the above issues upon Australian politicians is documented in detail throughout this website. They withheld the vital evidence which would have proved Schapelle Corby to be innocent. They misled Parliament, the media, and the public. They covered-up the real situation to the best their ability, persecuting Allan Kessing and others, and destroying evidence. They manipulated the domestic media. This is all demonstrated and confirmed by the government's own documentation. The precise weight of the CIA response, in contributing to this disturbing course of action, is unknown. The end result of the deliberations which followed, however, could not be clearer. Schapelle Corby was sacrificed for individual self-interest and political expediency. In recent weeks, a number of other documents evidencing American input have been obtained, which also indicate bi-lateral focus upon the Australian domestic aspects. For example, a Freedom of Information request, which was submitted to the AFP, on behalf of Schapelle Corby, yielded a wholly redacted multi-page document. 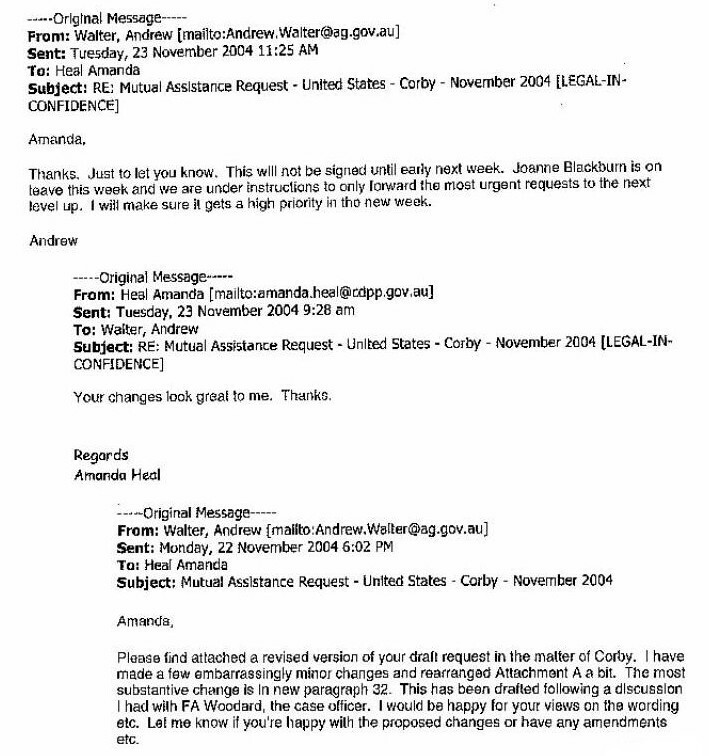 As this was completely blanked, it is not known whether this was related to the mutual assistance request referred to above. 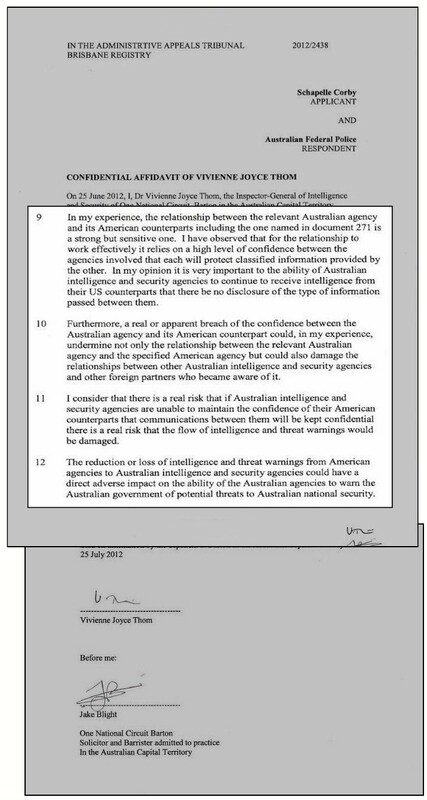 However, its contents were of such sensitivity that the threat of disclosure prompted an affidavit submission to the Adminstrative Appeals Tribunal (AAT), by Dr Vivienne Thom, Inspector-General of Intelligence and Security, dated 25th June 2012. Australia's most senior intelligence officer is very clear on the status of the requested document. So sensitive are its contents that disclosure to Schapelle Corby would risk the future "flow of intelligence and threat warnings" to Australia, which could adversely "impact on the ability of the Australian agencies to warn the Australian government of potential threats to Australian national security". 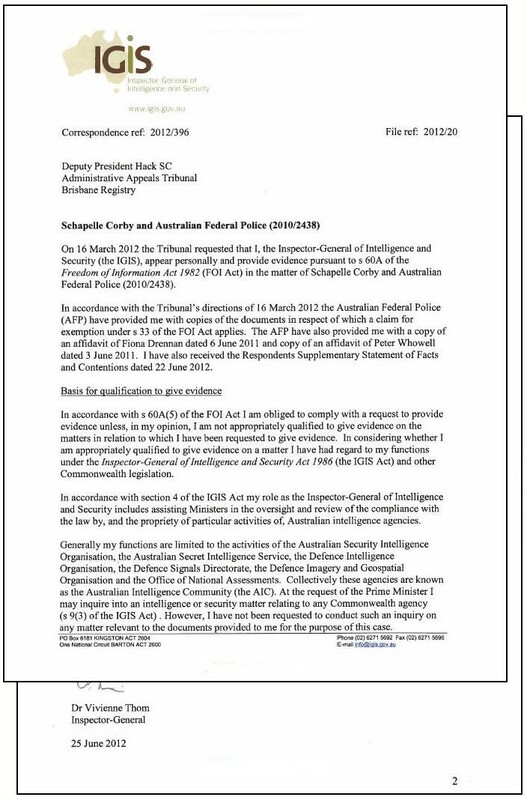 In this document, Dr Thom formally submitted that, if Schapelle Corby was allowed access to the information she sought, Australia's national security could be severely damaged. Access to the material was duly refused.